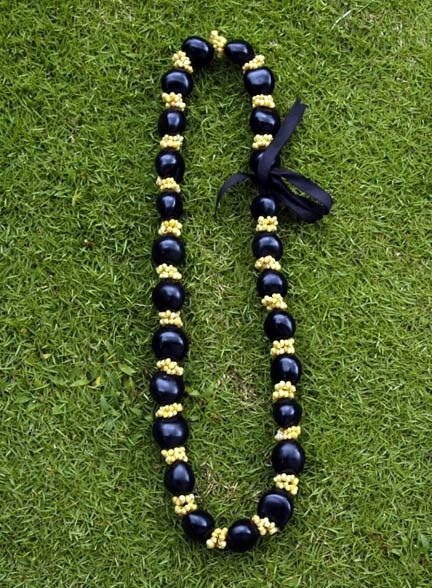 The Kukui Nut lei were worn by royalty back in the days of the Hawaiian monarchy. 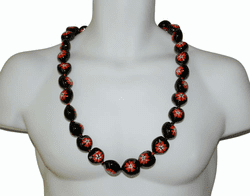 The Hawaiian kukui nut nicklace are finished and polished and will last for years. 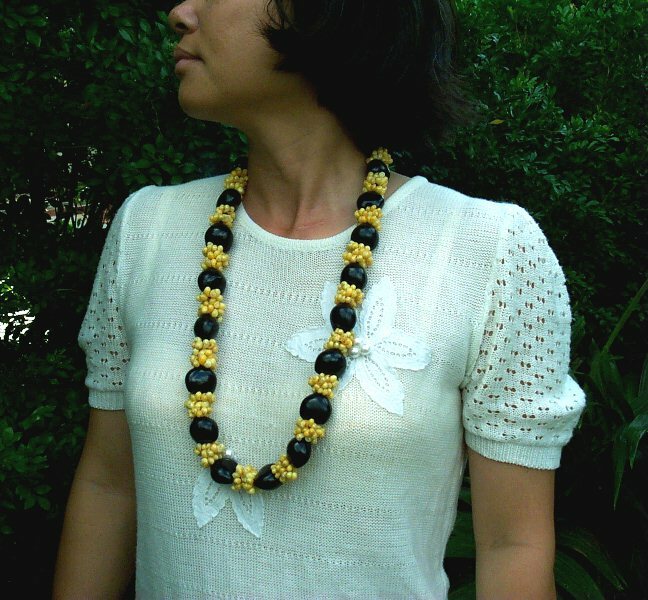 To keep the luster of this seed lei you can lightly massage a little baby oil or cocoa butter until their luster is restored.Kukui nut necklace are Hawaii's popular seed or nut lei worn by both men and women in formal or casual events. The Kukui nut lei necklace have a length of 30 to 32" long if cut and measured end to end. Unlike flowers these leis will hold its good looks for years. Our Hawaiian Kukui nut leis are made in Philippine, they are genuine natural nuts and natural sea shells.